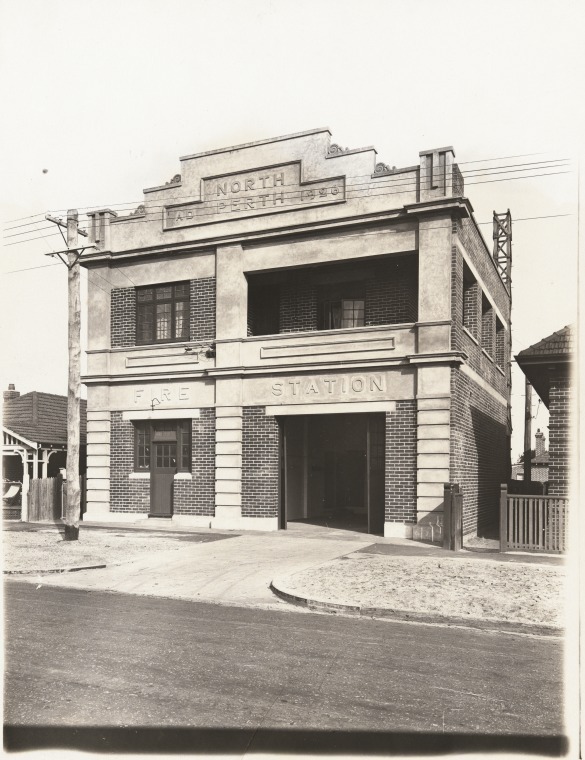 The North Perth Fire Station on View Street was opened in 1926 and was the second fire station constructed in the suburb. The first station (built between 1905 and 1909) was situated on the corner of Fitzgerald and Forrest streets and was originally the home of the North Perth Municipal Brigade. 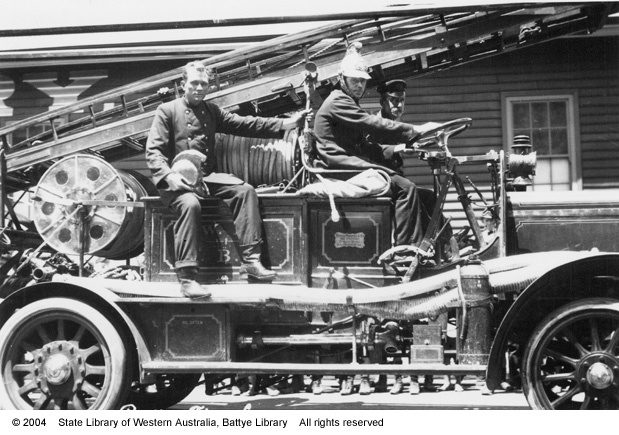 The Fire service was taken over by the Fire Brigades Board in 1910 and the rapid development of North Perth prompted the board to secure a more suitable site for a fire station that could serve the district for years to come. The architect of the new station, K.C. Duncan, a volunteer fire fighter himself, was responsible for most of the fire stations constructed throughout Western Australia in the 1930s and 1940s. This resulted in a certain amount of standardisation of design. It was designed in the Interwar Chicagoesque style, and was one of the few to be built with two storeys. At the conclusion of the Mayor of Perth, J. T Franklin’s opening remarks, the firemen mounted the motor engine, the doors were swung wide, and the machine made a speedy exit to the accompaniment of warm applause from the crowd. The North Perth Fire Station closed on 28 November 1956 and was used as a training school and electrical workshop from 1957-62. In 1963 master baker, Jury Tolcon, who had run his bakery in nearby Alma Road for many years, purchased the building and converted the upper level to residential accommodation. Between 1980 and 1996 the building had changed ownership and was used as a retail store during this period. The building was State Heritage listed in 2004, by which time it was a private residence. In 2009 the United Fire Fighters Union of Australia (WA Branch) purchased the building and moved their offices there in 2010, linking it to its past as a fire station. The building is one of only five remaining fire stations constructed in the metropolitan area prior to 1930, the others being Perth (1901), Fremantle (1910), Claremont (1914) and Leederville (West) (1926). 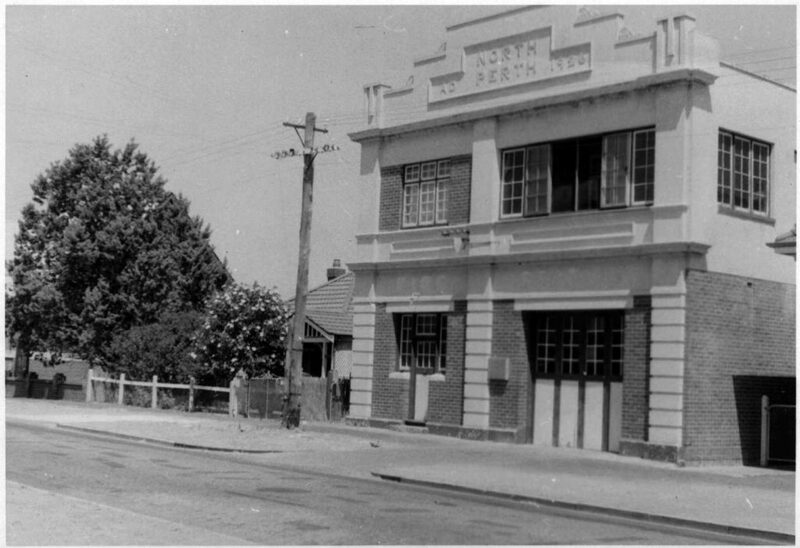 BA1271/216 – North Perth Fire Station 1926. 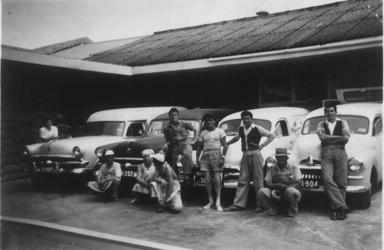 This image has been preserved and made available by the Historical Records Rescue Consortium (HRRC) Project supported by Lotterywest.